Midsummer’s Eve is something we Swedes take very serious. If I were to rank the most important holidays, I would say Midsummer and Christmas share first place. Christmas is something you spend together with your family and Midsummer is celebrated together with friends. Food is very important and the funny thing is that we eat almost the same food on both occasions. Pickled herring is an absolute must have! The herring should be served together with eggs, sour cream, chives and of course, early potatoes. Drinks are equally important and everyone sings drinking songs and drinks snaps (the only exceptions are designated drivers and pregnant women). Since this is such an important holiday, I always try to buy or make a nice outfit to wear. This year I was seriously running low on time but I decided to give it a go anyway. The pattern for the Tamoto dress is super easy and it’s very simple to assemble. The skirt and the lining fabric was a bit slippery so I probably spend half the time just cutting out the pieces. I was afraid that serging the raw edges of the lining would distort the fabric and that it wouldn’t fit together with the fashion fabric. 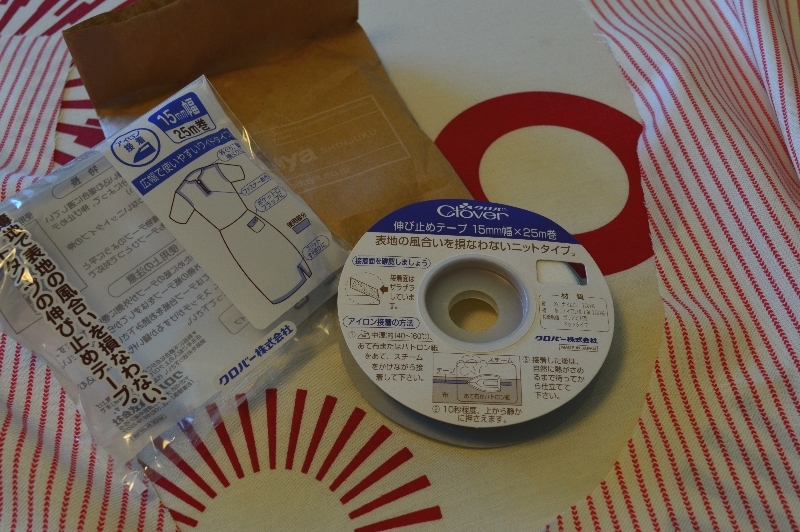 Then I remembered the interesting “iron-on fabric stabilizer” I had bought at Okadaya in Shinjuku, Tokyo last year but never got around to using. All the instructions are in Japanese, which could be somewhat of a hassle, but the pictures are pretty self-explanatory. Just put the tape with the glue facing down towards the fabric and apply heat. It only takes ~10sec for it to stick. I used the same technique for stabilizing the neckline of my wedding dress but at that time I had to cut all the stripes myself. Having a pre-cut 15mm wide tape is just perfect! Not only does it prevent the raw edges from fraying, it also keeps the seams in place. Noone wants a neckline that stretches out of shape! When attaching it to a curved neckline like in the picture below, the trick is to make small cuts on one side. I was planning on making a simple hem for the skirt but since I was short on time, I just serged it and sewed on some black lace trim I found in my stash. Perhaps not as stylish as I would’ve wanted it but maybe it could pass as “cute” instead. 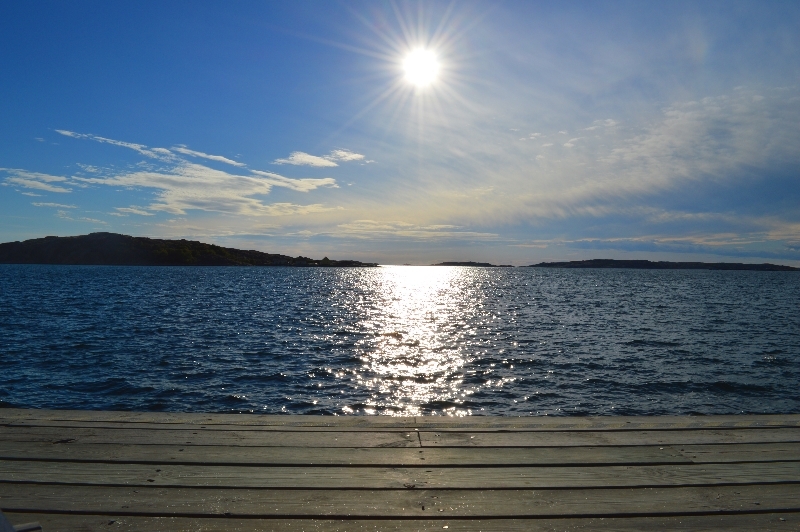 Last but not least, a picture taken from the pier right below the house where we had this year’s Midsummer celebration. Categories: Dresses | Tags: Midsummer, sewing, Tamoto dress | Permalink. Aahhwww I love it!! And how awesome, Midsummer’s Eve… we don’t know that here in The Netherlands!